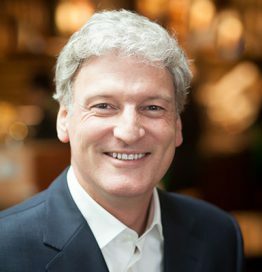 Martin is president of Starbucks Europe, Middle East and Africa (EMEA), responsible for bringing the Starbucks experience to 41 countries in over 2,500 stores. Since assuming the role in August 2016, Martin is repositioning the brand to deliver accelerated growth. Together with his team, he is focused on building a stronger, sustainable business with world-class stores to serve the many cultures across this diverse and complex region. Prior to this role, Martin was senior vice president, Strategic Partnerships leading the company’s effort to strengthen its connection with its geographic and channel licensed partners. Martin joined Starbucks in February 2016, after eight years at Nike, where he served as Vice President of Global Product and Merchandising Operations and was responsible for re-engineering the global product and merchandising operations and analytics organisation. He also served as Chief Operating Officer for Nike’s direct-to-consumer business and as General Manager of the Western European and Asia Pacific direct-to-consumer business. Prior to Nike, Martin was Senior Vice President Franchise Operations & Marketing for Europe, Middle East and Africa for Burger King Corporation and also served in several strategic operating leadership roles. Martin began his career at The Coca-Cola Company in Atlanta. Martin has a Bachelor of Science in business administration from Georgia State University. He also completed the Harvard Graduate School of Business Program for Management Development. A Dutch citizen, he has lived in the Netherlands, Belgium, Austria, Germany, South Africa, Switzerland, Brazil and the UK and is fluent in Dutch, German, Portuguese and Afrikaans. In addition to spending time with his wife, Anouk, and five children, Martin enjoys travelling, football and running. His favourite Starbucks drink is a grande nonfat Cappuccino.